Boasting tranquil ambience, you will like this beautiful resort featuring well-maintained garden and the stunning swimming pool. The restaurant will delight you with its selection of exquisite dishes. The seafood market is right around the corner, and the Family mart is just next door. It also offers walking distance to the beach road, and Big C/Central Marina is also located nearby. Adorned with lavish greenery, Rose Bay Resort Pattaya offers a blissful stay in the city. Situated near Pattaya Beach, the 3-star property is known for the outstanding hospitality that it offers to its guests. Preserving a tranquil impression, it offers a wonderful stay for couples and families who are looking for an incredible retreat in Thailand. The fantastic decor of the resort demonstrates a unique blend of Thai architecture and modern innovation. It features outdoor swimming pools and sun terraces for the supreme repose of its guests. Further, it brags an alluring garden, restaurant, and a bar. 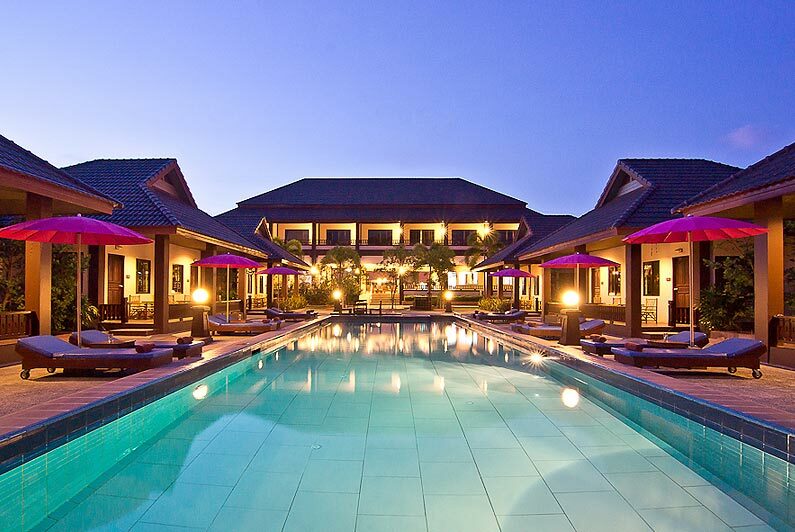 The property is a 32 km drive away from U-Tapao Rayong Pattaya International Airport. Notably, the hotel provides an airport shuttle service to its guests. The propinquity to the nearby tourist attractions like Art in Paradise, Alcazar Cabaret, The Sanctuary of Truth and Mini Siam makes it a true choice of shelter in Pattaya to explore the island. Rose Bay Resort Pattaya Thailand offers different categories of accommodations that include Bungalow, Bungalow with Terrace, Superior King Room, Villa with Private Pool and Suite. All the rooms are air-conditioned and connected to a free Wi-Fi. The rooms have a comfortable bed, wardrobe, lounge and an LED TV. Other amenities include a mini-refrigerator, safety deposit box, and an electric kettle. The modern toilets feature a hot shower, a bathrobe, and toiletries. Some of the rooms are featured with a private balcony or a sun terrace. The suites and villas feature separate living and sleeping areas. The alluring view of the tropical garden and swimming pools can be enjoyed from the hotel rooms. Rose Bay Resort Pattaya swanks of an amazing tropical garden where guests can leisurely walk to get some invigorating vibes. Tourists can unwind in the enticing swimming pool. Further, one can experience the supreme relaxation by availing a wide range of spa and wellness therapies at the resort. Children can get an amusement in the kids pool. Furthermore, tourists can have the opportunity to enjoy the sunset at the adjacent Pattaya Beach. One can enjoy various water adventures like snorkeling, diving and surfing nearby the place. The resort provides travel assistance to the guests to explore the destination. Rose Bay Resort Pattaya boasts of an in-house restaurant. The dining serves a wide range of Thai and International cuisines. Further, the in-house bar of the hotel serves arrays of wines to the visitors. One can experience an amazing taste of the signature cocktails offered here. Further, it serves scrumptious appetizers to the guests. Notably, the resort offers a complimentary breakfast to the visitors. Rose Bay Resort Pattaya welcomes the guests with the legacy of Thai hospitality. All the hotel rooms are equipped with world-class amenities. Besides, the hotel maintains a 24-hour front desk, travel counter, and a free parking area. It also offers laundry, housekeeping and luggage storage services. The resort offers a complimentary Wi-Fi throughout the premises. What is the distance between Rose Bay Resort and the international airport? 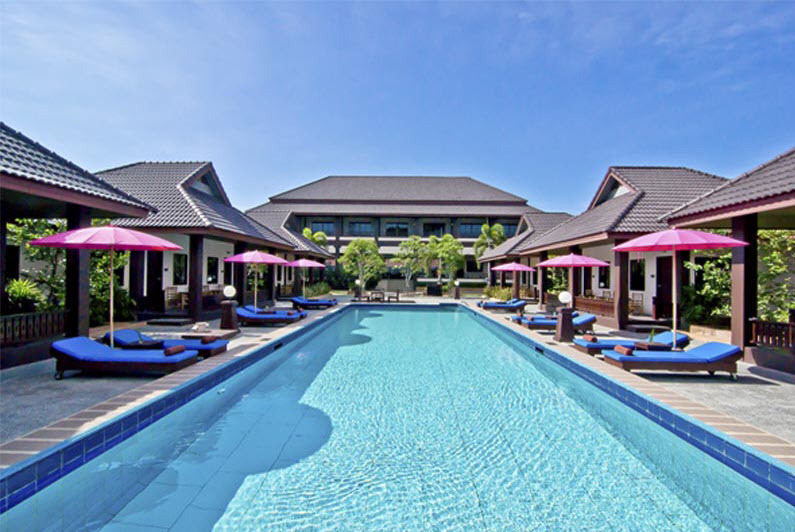 Rose Bay Resort Pattaya Thailand is a 32 km drive away from U-Tapao Rayong Pattaya International Airport. Till what time can one check into the resort? The check-in timing at the hotel is 14:00 hours and the check-out timing is 11:00 hours. What activities does the resort offer? Rose Bay Resort Pattaya Thailand offers a variety of joyful activities to its guests. Guests can relax in the swimming pool and spend some quality time on the sun terrace. One can enjoy spa and wellness therapies at the resort. Further, tourists can explore the prime attractions in Pattaya. Does Rose Bay Resort provide an airport shuttle service to the guests? Yes, the hotel provides airport shuttle service to its guests. Does the resort have a wifi service? Yes, the resort provides its guests with wifi services so they can stay connected with their loved ones. Located near the beachside, Rose Bay Resort Pattaya Thailand is the ideal destination for nature enthusiasts. The resort offers an opportunity to experience the scenic grandeur of the place. It is also known for offering an ecstatic stay in a soothing environment. The decor of the resort is inspired by the rich Thai art and culture. One can revel in a cozy refuge at the pool view rooms. Guests can relax with a wide range of spa and wellness therapies. Also, there are opportunities for various water sports in the place. Further, the in-house restaurant offers the exceptional savors of International delicacies. Guests can also indulge themselves in beach picnics and Thai cooking classes. 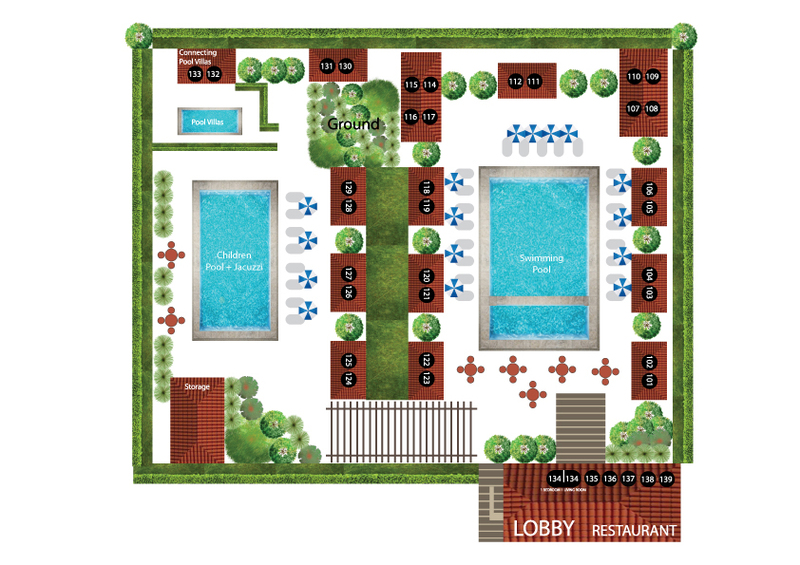 The resort is a 32 km drive away from U-Tapao Rayong Pattaya International Airport. Guests are offered an airport shuttle service by the hotel. The property is managed by a team of well-trained professionals. For an idyllic vacation, Rose Bay Resort Pattaya Thailand is a true contemplation.